There is no guarantee that your refrigerator will not go for a toss. And there are occasions when certain snags would surface up without any word of warning. In most of these cases, the compressor and the motor are to be held accountable. There are repair jobs that will make a difference, but they have to be carried out by professionals if you are to get rid of them sans much hassles. Often some people are of the opinion that replacing a defective refrigerator is better than repairing it, more so when it comes to dealing with devices that are past their warranty periods. However, thanks to the expert refrigerator repairing companies that have adequate experience under their belt, repairing also becomes pretty cost-effective and fruitful. 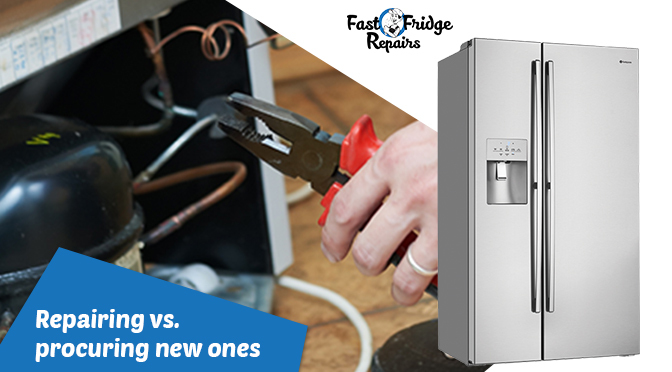 This is where we at Fast Fridge Repairs come into the forefront with much vigour. Indeed, we come up with repairs that are not only fruitful but are quite cost effective as well – the very fact that makes us such a familiar name in the market today. How You Can Take Part in the Repair? You, as the owner of the device, can play a pivotal role in repairing before you summon a technician though. You need to check the voltage of the refrigerator before assuming the issue to be a real ‘problem’. You need to book a service call only when you are sure that you have a failed motor or a motor that has outlived its shelf life. 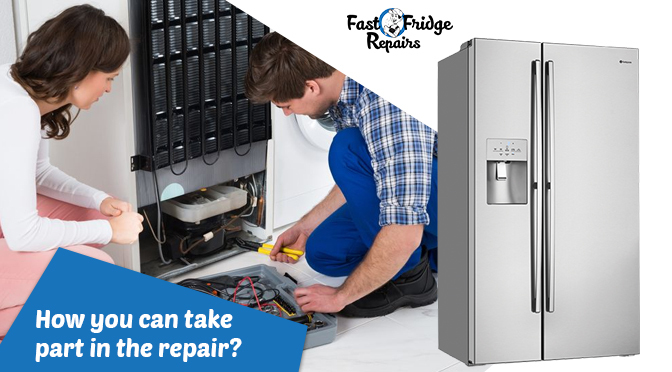 Our experienced technicians at Fast Fridge Repairs are highly experienced to gauge any type of technical glitch and fix it in no time, following a thorough inspection. However, it is advisable not to book service calls for refrigerator repairs unless and until you are dead sure about its mechanical failure. Hence, you see, you need to play a major part in deciding if your refrigerator is indeed suffering from technical trouble. It is our responsibility to take care of things and solve them. This makes sure you do not needlessly spend on purchasing a new fridge when it is not at all required. Why a quality repair company is so important? Yes! 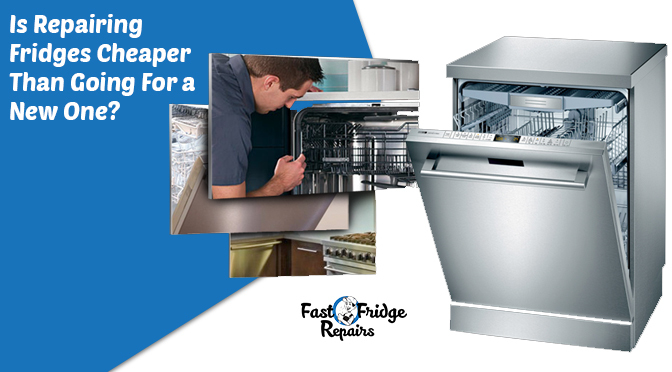 When it is all about repairing a defective fridge rather than purchasing a new one, you need to be cautious. In fact, you will have to face two conditions – if the appliance is still within the warranty period and if it is not. In case it is still under the warranty period, you need to get in touch with the specific company and book a service call. 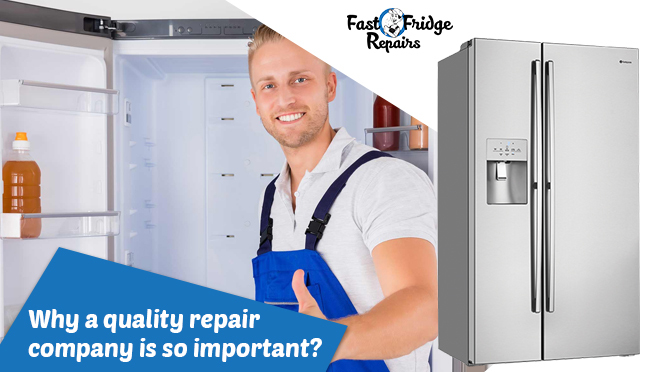 In case your refrigerator is well past the warranty period, you are open to get in touch with a master refrigerator Repair Company and have the issue settled. Here is where we come into play. Our experienced fridge technician will make sure that the repair is done with optimal professionalism – something that will justify your investment on Fast Fridge Repairs, and will also make your decision to opt for repair rather than purchasing a new fridge, look justified.